Llyr Pawl Williams with a name as Welsh as that there is no guessing Llyr was born Carmarthenshire West Wales. 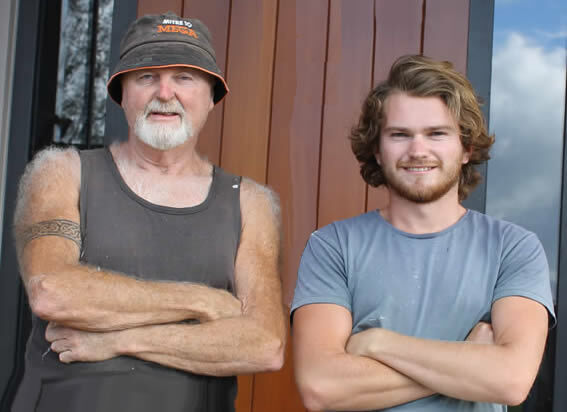 Llyr (Taffy's son) has learnt the art of is father's craft - working with him since he was a young boy. Thomas Pugh is from North Wales originates from the town of Harlech famous for Harlech Castle. Thomas has spent most of is time working with stone in the Snowdonia National Park were he specialised in dry stone walling. He has also worked extensively in the small village area of Betws-y-Coed were all the buildings are of stone and have strict conservation rules around the restoration. Josh Velk ancestry originates from the Eastern European region. 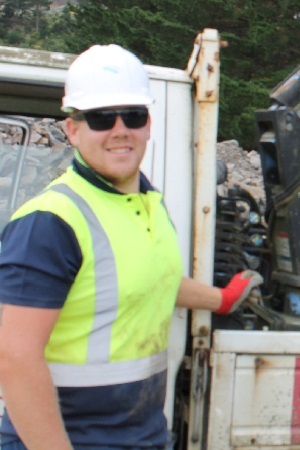 Josh has worked in and around the Auckland area for many years with the local basalt and South Island Schist. 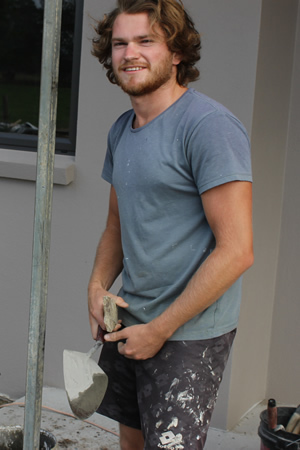 Josh is a Qualified Stone Mason and holds a National Certificate in Stone Masonry with NZQA. Thomas Thorndyke is from Machynlleth a town in Powes, mid Wales. 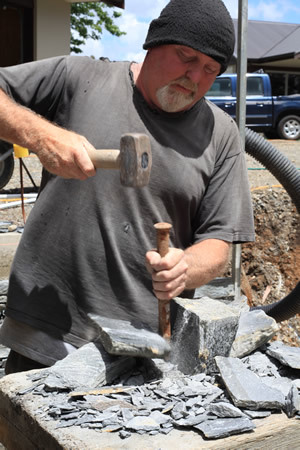 He comes from a family of stonemasons who all have worked in and around the Snowdonia National Park, his granddad was a stonemason and his older brother still works within the trade. 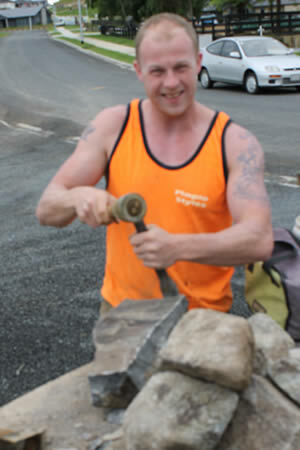 Thomas has been in New Zealand for four years and is the latest stonemason to join the Celtic Stonework team.